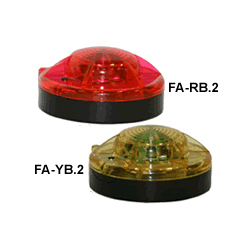 Our warning lights have limitless applications, are dependable, easily deployable and come in a variety of styles. Economical and environmentally friendly, FlareAlert LED lights are perfect for use by law enforcement, fire departments, military and for recreational use! Our LED 2-in-1 Traffic Baton is a highly visible traffic safety light for getting the attention of pedestrians or drivers. 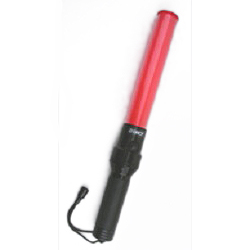 It functions as either a baton, a flashlight, or both simultaneously. 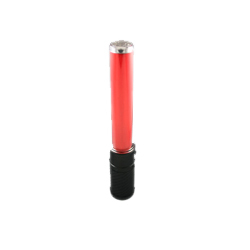 These red LED warning light batons come in either 9" or 12" with a range of functions, features and a separate chrome plated steel stand. 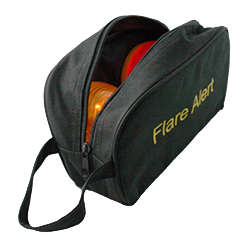 FlareAlert™ Beacons provide brightly lit, highly visible LED light in red or yellow with a magnetic base that can stick to your vehicle. Additional options include a metal cone adapter and a weighted base for high-wind situations. Small or large storage bags and kits help keep your safety lights, cones, weights, stands and batteries all in one place for convenience and ease of transport.